A diamond engagement ring reflects a person’s love and commitment to their partner. If you are planning to pop the question, it is essential you select the ideal cut, colour, shape and size. After all, the ring must complement your partner’s taste and style. To help you select a ring that is as perfect as your partner is to you, we are offering some top tips to help you pick the right design. 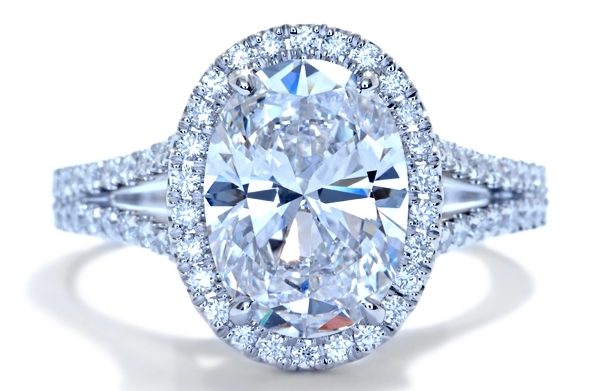 It is so easy to think with your heart over your head when it comes to picking an engagement ring. That is why you must be realistic when you purchase a ring, so you don’t enter debt before you have even started planning the wedding. Know exactly how much money you can spend before you visit a jeweller, so you can make a practical decision, whilst selecting a ring your bride will love almost as much as you. Nothing says “I love you” quite like a customised engagement ring, which is a service available from ascotdiamonds.com. By opting for a customised ring, you can pick the best cut for your bride-to-be, such as round, princess, cushion and oval. You can also select the weight, metal and budget. It will prove to your bride just how well you know her, as well as showing how much thought you have put into creating the perfect proposal. Many people often assume customised means expensive, but that really isn’t the case. Most of the time, a jeweller will want to provide you with a ring you’d be proud to slip on your partner’s finger, so are happy to create a design that suits your requirements and taste. It is vital you consider a ring’s metal before you visit a jeweller. Review your bride’s existing jewellery collection. Does she regularly wear silver? Does she refuse to wear gold? Or is platinum her metal of choice? You will want to present her with a ring that complements both her style and existing jewellery collection. The last thing you will want to do is select the wrong engagement ring. That is why you should consider confiding in your partner’s best friend, sister or mother. You can guarantee they will know exactly what she would like, so they will be more than happy to share their opinion, as they will want to ensure she receives the best ring for her taste. Just ensure you ask someone who will keep the proposal a secret! You must consider the four Cs: cut, clarity, carat and colour. If you want to provide a ring that has the wow factor, it is essential you don’t overlook the four Cs. So, before you buy any old ring, make sure the 4Cs match the price tag. Once you have found the perfect ring, all that’s left to do is think about how to plan a romantic proposal. Good luck!